The Innovative Scuba Concepts DIN Dust Cap offers you extra protection for your DIN fitting regulator. Offers a water tight fitting to keep water from entering the 1st Stage. 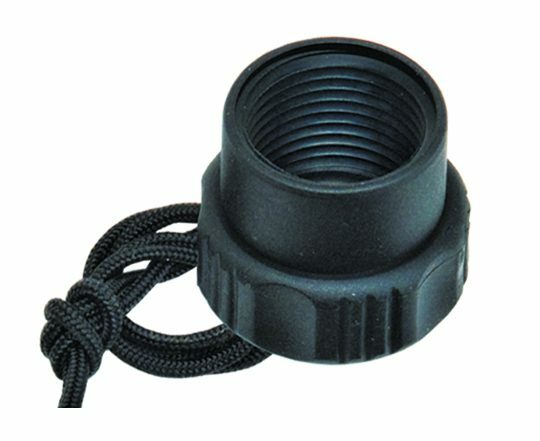 Strong Nylon line to secure to your regulator while diving.